Has the time come to radically revise how we think of cities? The fabric of urban and suburban life has been woven with thick strands of highways that connect and separate communities and neighborhoods. Some urban planners see this as the right moment to rip them out and rebuild cities with less of an eye toward their ability to move traffic and more emphasis on quality of life for their residents. Perhaps the greatest argument that removal advocates have is that so much of this infrastructure is nearing the end of its life span. 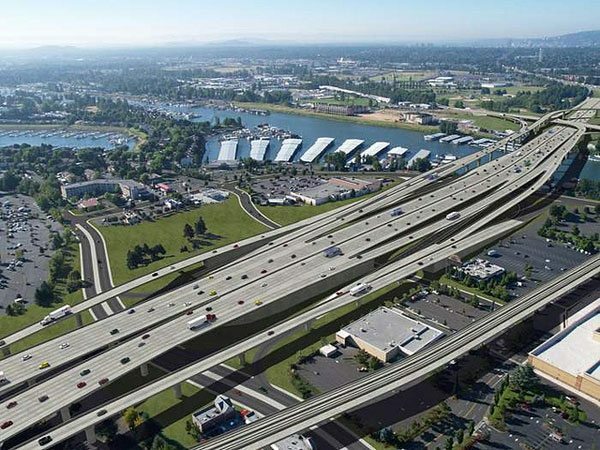 In this era of tight budgets and political gridlock, it may be cheaper for local and state governments to remove a freeway rather than repair or build a new one. Angelo Trichilo, deputy chief engineer for the New York State Transportation Department, imagines “an urban boulevard that allows all modes of transportation—pedestrians, bicyclists, and cars—to use that facility” once offered by the multi-lane highways. Making large, urban communities take on more of a small-town feel sounds appealing, but will it actually solve any of the difficult problems our cities face? In many cases, our highway systems provided mechanisms to allow white communities to wall off black and poor neighborhoods and to allow whites to flee cities for the suburbs. Removing these barriers might create a way to undo some of the harmful impacts of segregation against which urban schools and police departments still struggle. However, there’s also the danger that these efforts will accelerate gentrification, bringing younger, whiter, and wealthier residents back into central cities at the expense of longtime older, poorer, and less mobile populations. Ensuring enough affordable housing is available in our urban centers would only be made more difficult by an uncontrolled process of renewal. And without highways to connect suburbs to cities, there is a real danger that “undesirables” will be further isolated and disconnected from economic and social opportunity.